What is the Cost of a Facelift in Charlotte? In the treatment of the aging face and neck, a facelift is typically one of the most talked about facial plastic surgery procedures. I believe it is a topic of conversation because it has such a dramatic and successful outcome when done correctly. Many men and women seek to regain definition in their jaw and neckline when they lose it as they age. 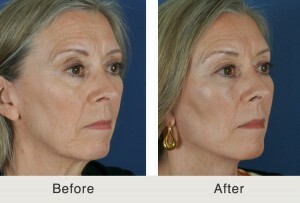 A facelift is the most effective procedure to regain the definition in the neck and jawline. As with many products and services, people need to know the financials to plan accordingly. What are the Components in the Cost of a Facelift? What Does the Surgeon’s Fee Account For? The surgeon’s fee is the component of the cost that is paid to the facial plastic surgeon. This money covers the many expenses it takes to run a facial plastic surgery practice. That money is used to cover the cost of all of the appointments you have with the doctor before and after the procedures. It will typically entail 2-3 appointments before surgery and at least 8 appointments for the first year after surgery. It covers the time that the surgeon takes to perform the surgery. The surgery can vary from 4 to 6.5 hours. This entails approximately 16 hours of the surgeons time (plus or minus a few hours). This fee is also money that is used to cover the cost of the overhead it takes to run a medical practice to pay staff, supplies to care for patients, electricity, rent, and other costs. There are many other costs that are covered from the surgeon’s fee that do not go directly to your doctor. What Does the Anesthesia Fee Cover? While I have many patients that have a high pain tolerance, I do not think a patient could undergo a facelift without some type of anesthesia. The anesthesia fee is used to cover the costs the medical personal giving the anesthesia (anesthesiologist or nurse anestetist) and all their supplies. Their supplies include expensive medications and equipment that they use during your procedure. I f I was undergoing a facelift in Charlotte, I would want to have the procedure done at a clean, safe, warm, and comfortable environment or facility. The facility fee is paid to the location where the surgery is performed (hospital, outpatient surgery center, or office). The facility fee covers the cost of the staff that takes care of patients. There are nurses and staff that care for patients before surgery, during the surgery, and during wake up from anesthesia. This fee covers all supplies, instruments and equipment used during the surgery and the general overhead of the surgery center including rent, utilities, cleaning staff, and other expenses that it takes to run a surgery center. The simple answer is time. The shorter the procedure the less time a patient will need anesthesia, the facility, and the facial plastic surgeon. A patient is responsible for the time is takes to have surgery while they are in the operating room. The time in the operating room depends on the level of complexity of the surgery. What is the General Cost of a Facelift in Charlotte? The cost ranges from the low end of $9,000 up to $14,000 for a facelift. Most patients fall somewhere in the middle of this range. The price increases as patients begin to add other procedures including facial liposuction, platysmaplasty, eyelift, and/or facial fat grafting. Why Choose Dr. Kulbersh for your Facelift? Dr. Kulbersh is a Beverly Hills trained facial plastic surgeon. He trained with the best surgeons in Beverly Hills and specializes in only procedures of the face. He is a facelift expert and specialist and takes great care of his patients. 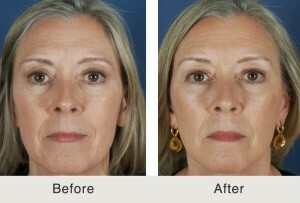 Next, read about Facelift Recovery.